We provide you with the latest trends and desings in the field wallpaper, which we design and distribute in cooperation with the largest German and European wallpaper manufacturers. Togehter with our shopfitting department we will develop and plan your ideal wallpaper department for your own unique wallpaper range, which we put together for you. Due to their easy processing properties, the non-woven wallpaper achieved a significant increase in the market in recent years. The backing material of this non-woven wallpaper is contrary to other wallpapers. As the name suggests, fleece is converted instead of paper. Non-woven wallpapers are available with an already decorated surface or as a semi-finished good that is able to be coloured after paperhanging. cut on the lower edge – finished! In the manufacture of vinyl wallcoverings plastic is processed on Duplex paper. It can be differenciated between profile structure and flat vinyl wallpaper. Profile Structure wallpaper has a three-dimensional relief-like structure. Flat vinyl wallpaper is completely coated with plastic and has a fine, sharp-edged structure. Vinyl wallpaper is highly resistant to washing and abrasion, flame retardant to DIN 4102, B1, and have a high light resistance. They are especially suitable for kitchens, bathrooms and stairwells. 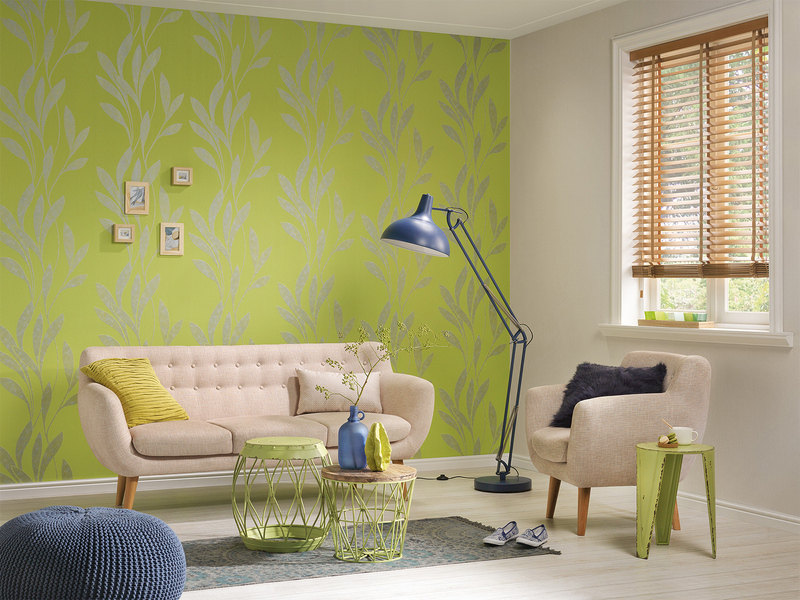 Wallpaper consists either of a first coat (Simplex) or of two or more layers (Duplex). In duplicated wallpapers the panels are still covered by a second paper layer. In this case e.g. an imprint is better achieved in the converting process, the wallpaper is dimensionally stable. Borders are particularly well suited e.g. to divide walls with different wallpaper patterns. Furthermore, inaccurate accounts can be covered easily. Borders are available in different widths and lengths. It can be differenciated between fleece, vinyl, paper and other, like in terms of wallpapers. Another semi-finished product is the fiber wallpaper or the fiberglass. The individual panels are woven from fiberglass yarns in different patterns. There is a distinction between the laminated and unlaminated product. The laminated product is usually available as a regular role; the unlaminated tissue is produced as a major role. Fiberglass is non-flammable and not able to decompose.